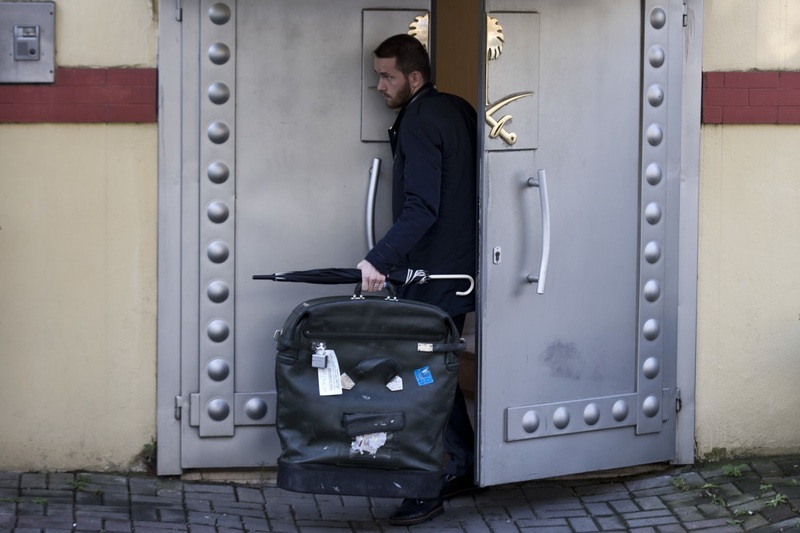 ANKARA, TURKEY (AP) — Turkey’s government has told U.S. officials it has audio and video proof that missing Saudi Arabian writer Jamal Khashoggi was killed and dismembered in the Saudi consulate in Istanbul, the Washington Post reported Friday. A delegation from Saudi Arabia arrived in Turkey Friday as part of an investigation into the writer’s disappearance, Turkey’s state-run news agency Anadolu said. On Thursday, Turkish presidential spokesman Ibrahim Kalin said Turkey and Saudi Arabia would form a “joint working group” to look into Khashoggi’s disappearance. Khashoggi had been living in self-imposed exile in the United States since last year. As a contributor to the Washington Post, he has written extensively about Saudi Arabia, including criticism of its war in Yemen, its recent diplomatic spat with Canada and its arrest of women’s rights activists after the lifting of a ban on women driving.